Sometimes no amount of exercise or healthy eating can shift those stubborn fatty areas around the abdomen, upper arms and outer thighs. If this sounds like you, ProMax Lipo is a Non Surgical Fat Reduction treatment that uses ultrasonic cavitation treatments to help you lose inches. The system works by sending sound waves deep into the fat layer which targets fat cells without affecting neighbouring tissue. The fat cells are broken down and the fatty residues or lipids can then be transported out of the cells and are expelled through your lymph nodes and body’s immune system. 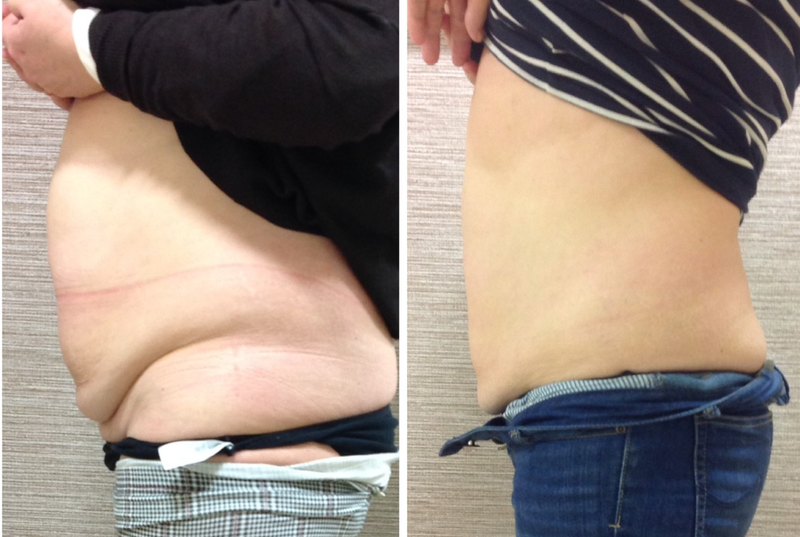 The image below shows one of our lovely patients after 10 sessions of Promax Lipo non surgical fat reduction treatment.